Produced in-house with our time-tested formulas. Coated & Painted Wheel Wash is alkaline products. Special surfactant package wisks away dirt and brake dust effort lessly!This product is designed specifically for removal of brake dust. 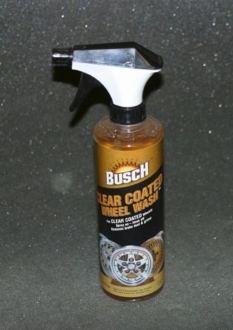 It is safe and effective on all clear coated and painted factory or custom wheels.